Nothing says spring quite like bulbs. Varieties like tulips, daffodils, and lilies are perhaps the quintessential marker that winter is over at last. 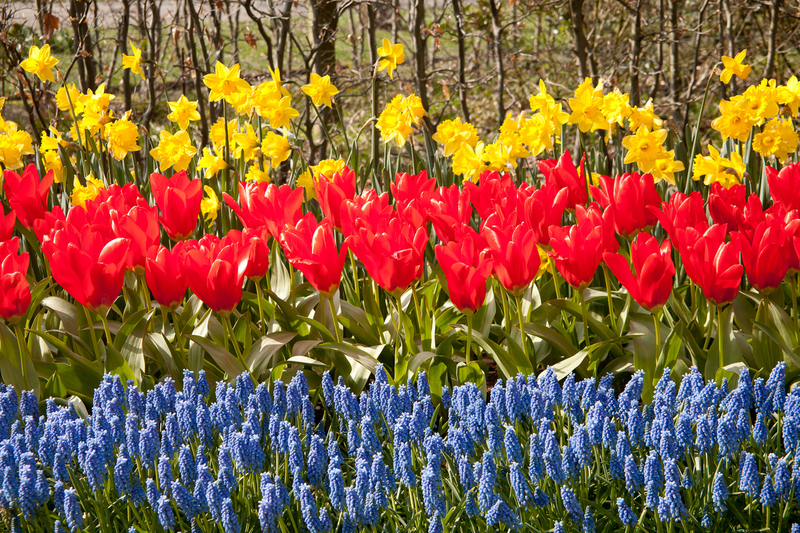 There’s a great variety of bulbs beyond these three well-known classics, and knowing how to integrate them into your landscaping can keep your property looking beautiful all growing season long. Use clusters of color – plant bulbs in irregular clusters of 12 or more for the larger bulbs and as many as 50 or more with the smaller, less showy bulbs. Use pops of one color near shorter shrubs or larger clusters of two or three colors in more open areas between plantings. Plant a border – use a border of low-growing bulbs like hyacinths to form a border around existing planting areas. Be sure not to plant straight lines of bulbs in ordered rows, which can look too formal for many gardens. Plant with companions – plant bulbs with companion perennials of a similar size. After the blooms die off, the perennials will help disguise the remaining foliage. Use bulbs to brighten tree plantings – early spring bulbs like crocus, early daffodils, and grape hyacinths do well under deciduous trees since they bloom before the tree’s full foliage develops. However, do not plant bulbs beneath evergreen trees – these produce too much year-round shade. Sometimes, unfilled spaces seem to be begging for a bulb garden. Luckily, the sheer variety of bulbs ensures a space full of bulbs will never get boring. Arrange bulbs purposefully – plant shorter varieties near the front, with taller ones near the back. Keep in mind which bulbs will bloom when, so you don’t have entire sections of your bulb garden bare as one time. Mass plantings – address mass plantings of one type of bulb and large groups of multiple bulbs similarly. Plant in natural-looking clusters to get a uniform texture. Also, consider mixing leaf types – mix variegated leaves with plain for a natural, creative look. Try container gardens – use containers of bulbs to extend your landscaping onto your deck or patio. Plant containers in the fall, winter them in a garage and then bring them out in the spring for an early pop of color. Contact us for more information about bulbs that will perform best with your existing landscaping. 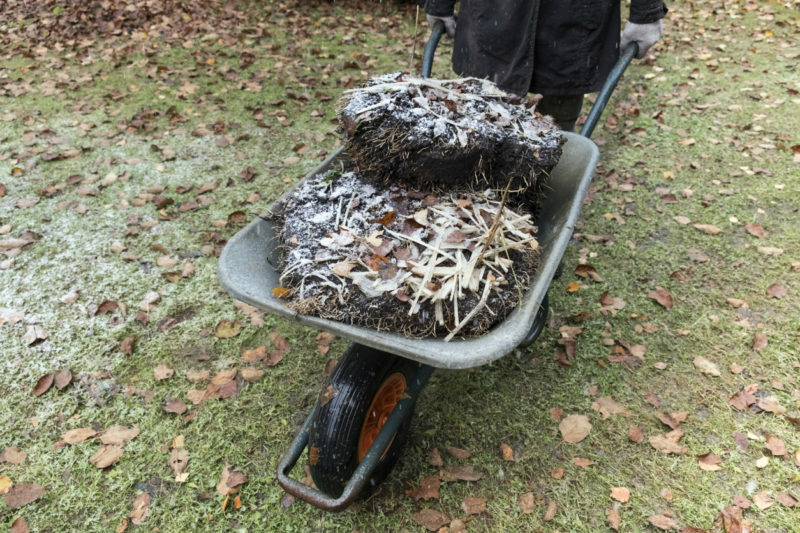 Posted in Bulb Planting Tips, Delaware Landscaper, landscaping tips, new landscape, plant health and tagged Bulbs Can Be Beautiful Alone, Integrate Bulbs Into Your Landscaping, Work Bulbs Into Existing Landscaping on March 12, 2019 by Denise Bernstein. With all the artic weather that has hit our area these past few weeks, it may be hard to imagine that spring is upon the horizon. Just as the sun surely rises, so will the sunny warmer days of spring and summer be here soon. 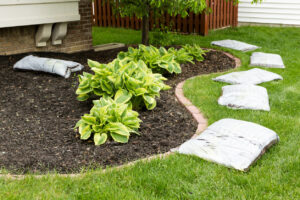 That is why we thought a little talk about improving your landscaping this spring might be helpful for planning some improvements to enhance your home’s curb appeal. 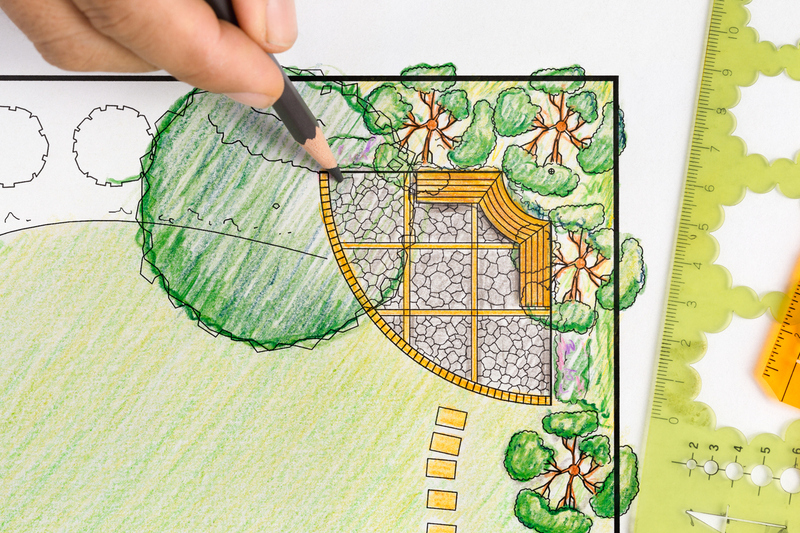 1) Plan your landscape: Well before you break ground, it is important to plan your landscaping project. Are you going to hire a professional landscaper? Might as well get them involve from the beginning, as their knowledge and expertise will be a big help. Plan for the types of plants you would like to grow, the layout and what you need to complete the tasks. This will make your landscaping endeavor significantly easier in the end. 2) Know Your Options: The geographic location of your home should play a big part in landscaping decisions. Choosing plants according to the climate of your yard is crucial. If your yard is full of mature trees, you will want to select plants that thrive in shade. While a more open landscape will make those plants that thrive in sunny conditions a better option. 3) Give Plants Room to Grow: Most plants have an estimated maturity height and width. Consider a plant will grow over time in order to space it properly and place in best area for growth. 4) Know Your Pests: Familiarize yourself with the pests in your neighborhood so that you can plan for ways to protect your landscape from them. Insecticides, wire mesh or fencing can keep wildlife and insects from destroying your new plantings. Your local nursery or department store should be able to help you find the tools you need.Consider Soil Conditions: The quality of the soil used will play a big part of your landscaping efforts. Adding mulch to your plantings not only adds to aesthetics, it will also help maintain the soil. 5) Consider Maintenance Needs: If you are not planning on spending the time or hiring someone to maintain your plantings, select plants that are lower maintenance to keep your landscape looking nice. Consider placing flowers in planters to add color and texture to the landscape while cutting back on need to weed. 6) Style Your Landscape to Compliment Your Home: The specific style of your home needs considered when selecting plantings. 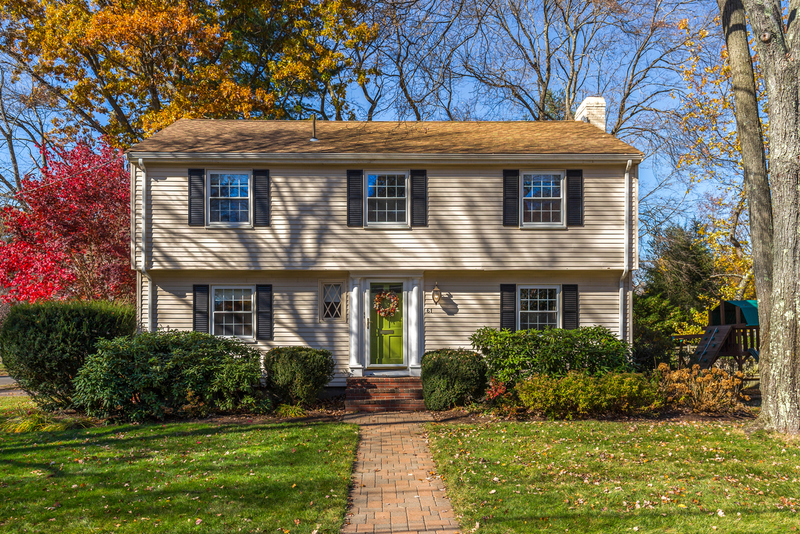 A traditional style home with landscape that flourishes with sunlight is conducive to flowering plants and shrub, while a rustic or modern home might look better with cacti or ornamental grass. 7) Use Landscape Rocks: Rocks can provide a natural, textural element to any landscape and a great way to create focal points. Better yet, rocks are very easy to maintain. 8) Make a Blueprint: Once the types of plants are selected, map it out. Items such as walkways or decorative elements need to be added in order to see how the landscape project will work and the materials you need. 9) Timing is Everything: Since many plants respond better when planted during a particular time of year, you’ll want to plan for that to give them every chance of flourishing year over year. 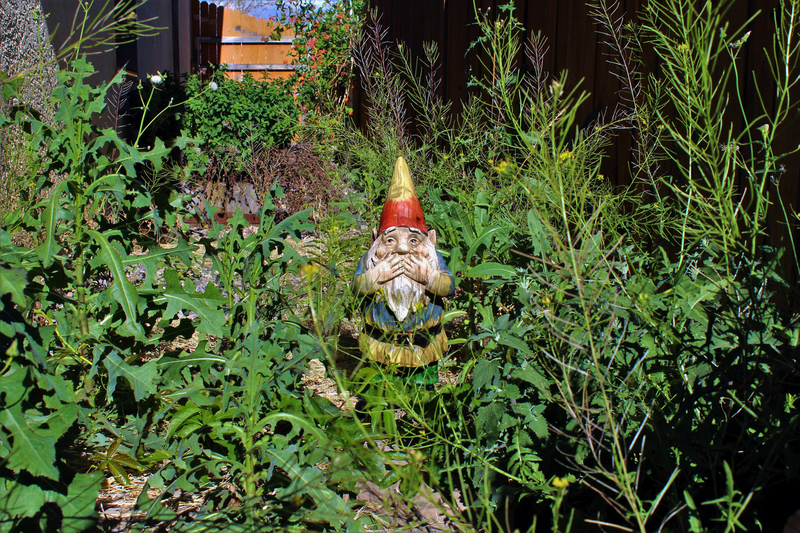 10) Spy on Your Neighbors: Look around your neighborhood to see what is working for them as a guide to what might work well for your landscape, as well. Talk with a local nursery to get professional advice on what types of obstacles or what is native to your area. 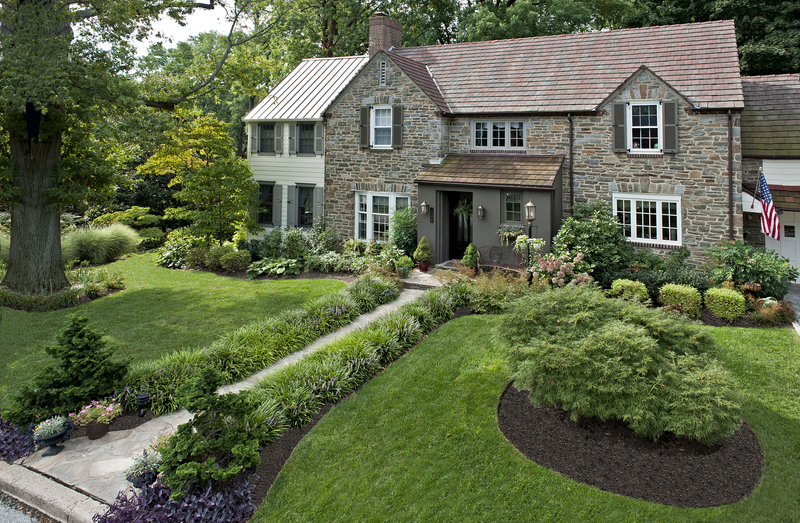 Posted in Delaware Landscaper, hardscaping design, landscaping tips, new landscape, spring landscape tips and tagged 10 Landscaping Improvements to Make this Spring, Delaware Hardscaping Experts, landscape tips, landscaping tips for Delaware, outdoor living space on February 21, 2019 by Denise Bernstein. 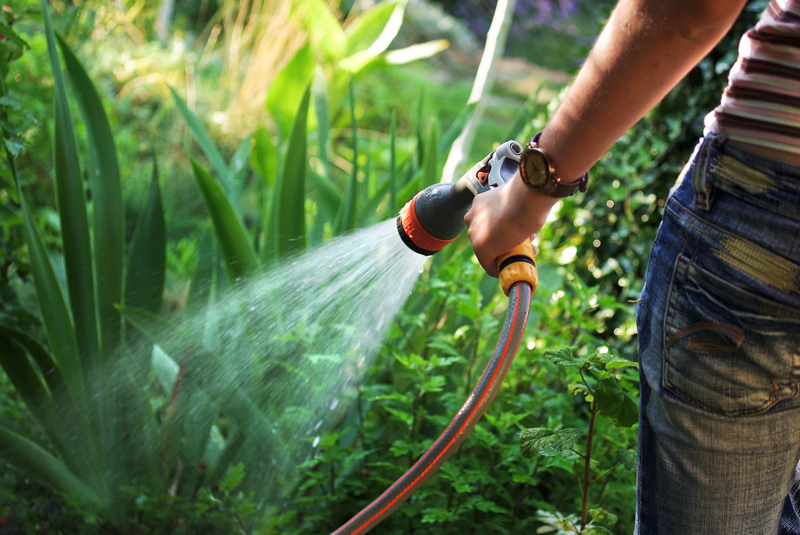 You just invested time, money and energy installing new plantings into your landscape, keeping them watered and hydrated is the most important aspect in helping them become established. While there is no universal rule of when and how much to water, the general rule of thumb is one inch of water per week. Obviously, your watering amount and frequency will be determined by what Mother Nature offers up. On those hot and dry weeks of summer, there is a higher need to keep your new plantings hydrated. 1) Mulch is an excellent way to keep new plantings healthy, as it keeps soil moisture and temperature more evenly regulated. 2) Spring plantings tend to need a more diligent watering routine versus fall plantings, as the root establishment may only be a few weeks. Fall plantings generally need less watering due to cooler temperature and increased rainfall and the roots will be more established that first summer. 3) It is better to water new plantings in the morning, as it is considered more effective. Daytime watering is less effective due to evaporation. Excess moisture that is not absorbed into the soil during the morning will evaporate, keeping plants from too wet during the day or into the night. 4) Fully analyze a drooping plant before assuming that it needs water. While this is a sign of dehydration, it could also be a sign of a plant being starved of oxygen. The cause could be that the plant has been overwatered and the soil is saturated. Check the soil to see if it is really dry before watering. 5) Avoid oversaturating your new plantings. Puddling is a sign that the plant cannot absorb water at the rate it is being applied. Overwatering can cause root rot, foliar diseases and deprive the soil of oxygen. Posted in Delaware Landscaper, landscaping tips, new landscape and tagged new plantings, watering tips on July 24, 2018 by Denise Bernstein.